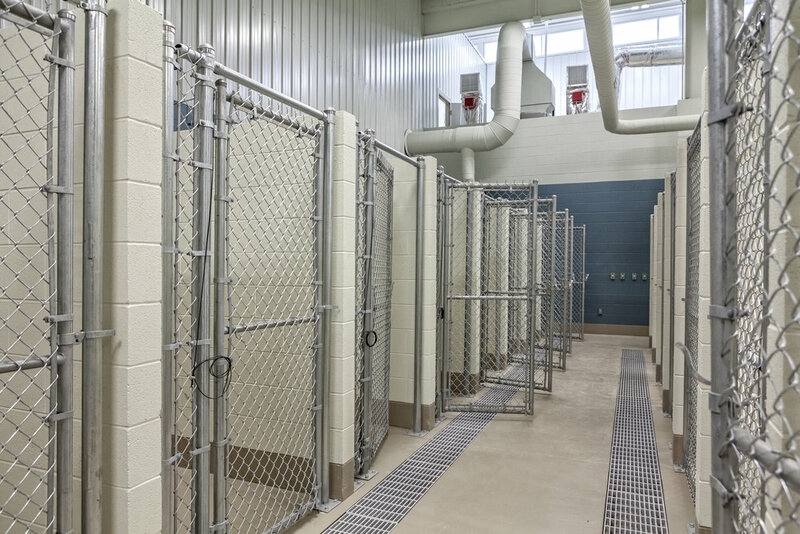 Through innovative use of a pre-engineered building, Thomas Weems Architect provided a new 18,000 square foot home for the Washington County/Johnson City Animal Shelter. This new facility expanded their kennel capacity with 154 dog kennels and 250 cat condos, which allows the shelter to maintain its no-kill status, and increased their adoption focus with an inviting lobby and adoption center, several "Meet & Greet" rooms, and fenced exterior play areas. In addition, the shelter includes office and support areas, like meal preparation and laundry, and a discreet drop-off entrance for stray and surrendered animals.